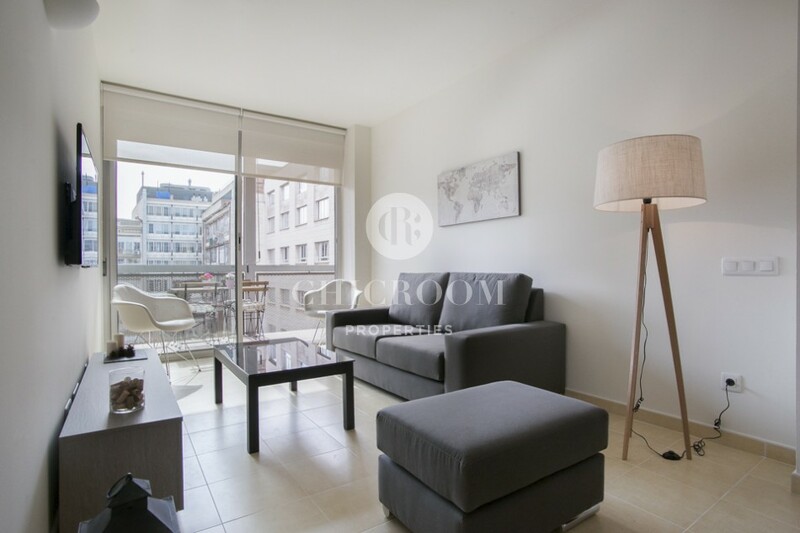 ChicRoom Properties is proud to present 1 bedroom apartment for rent Eixample pool. 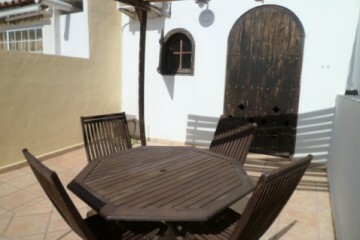 This property with terrace is located in a safe and pleasant building, in a charming part of the city. 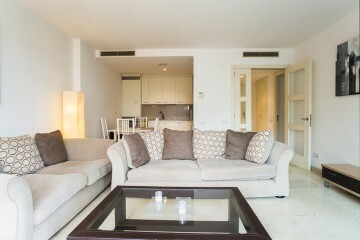 According to the availability, we offer apartments of one, two and three bedrooms in the same building. 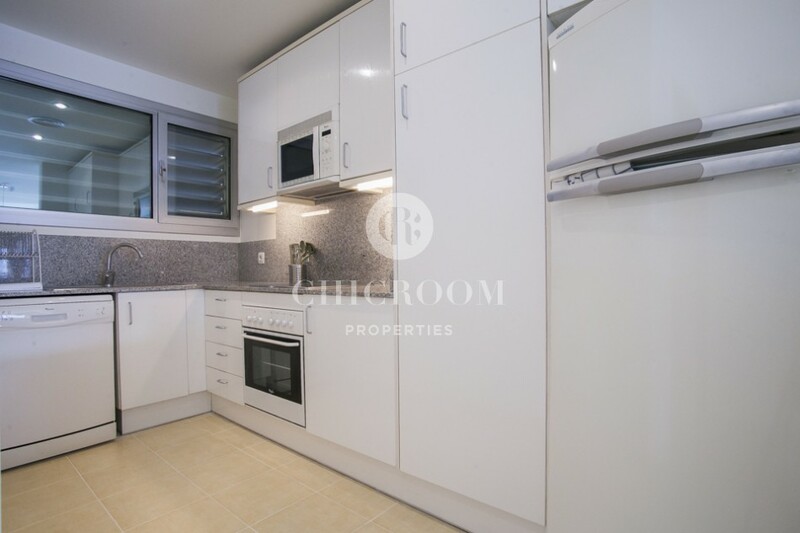 This apartment offers you 55 m2 of space, which is fully furnished and designed in a modern way, that will fulfil all your needs. The is a living room and a dining room. 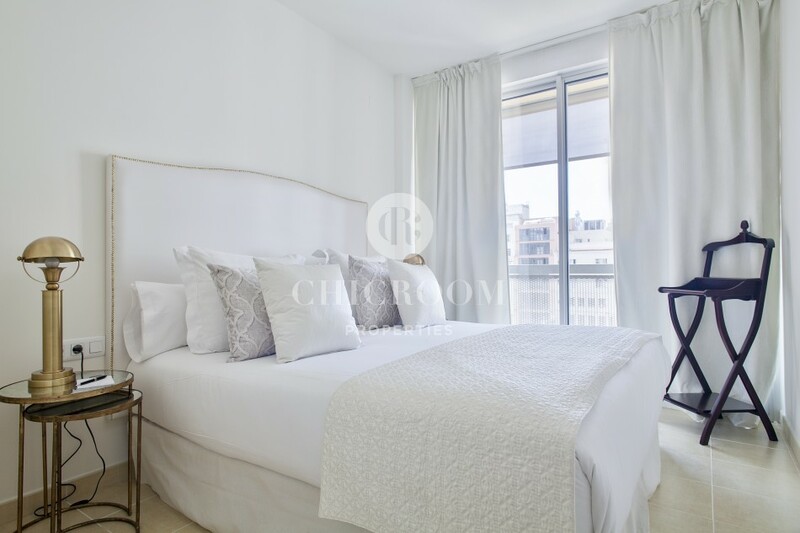 This space has a grey furnishing, which brings um modernity and grace to this place. This unique design is very modern and simple, but at the same time provides you calm space to rest in. 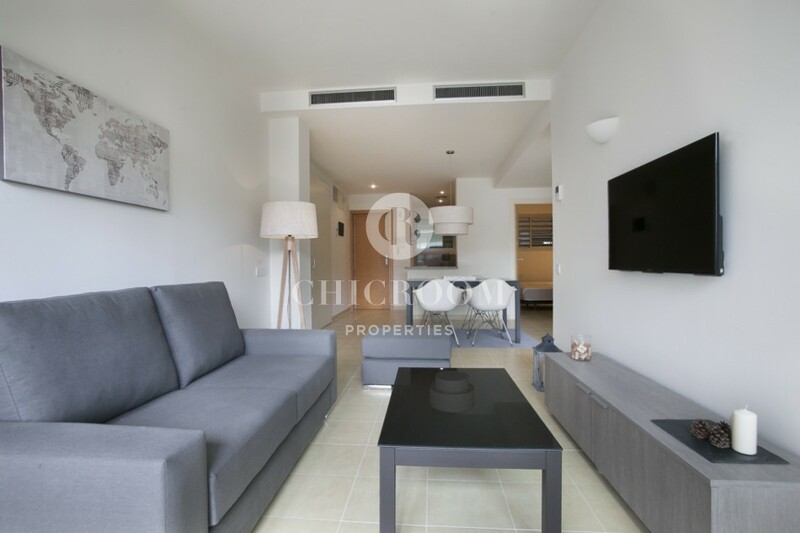 In the living area, you will find one comfortable sofa, coffee table and a smart TV. 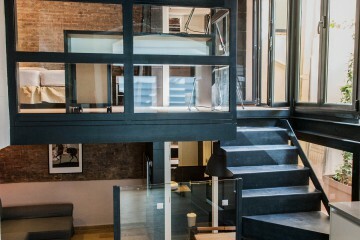 Here you will find an access to balcony due to a big glass door, which bring up a lot of light to this space. 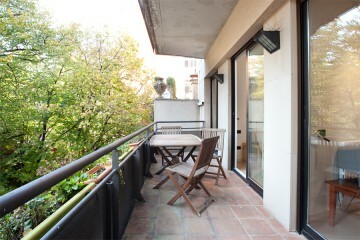 Here you can enjoy an amazing view of beautiful Barcelona and spend your free time on fresh air in comfortable chairs. Back inside the room, you will find a dining area which will make your meals special due to a beautiful dark table and modern designed chairs. The kitchen is a separated room yet well connected to the rest of the living area. Here you will find all the equipment that you need. It was designed in a polished way and set in elegant snow white colours. 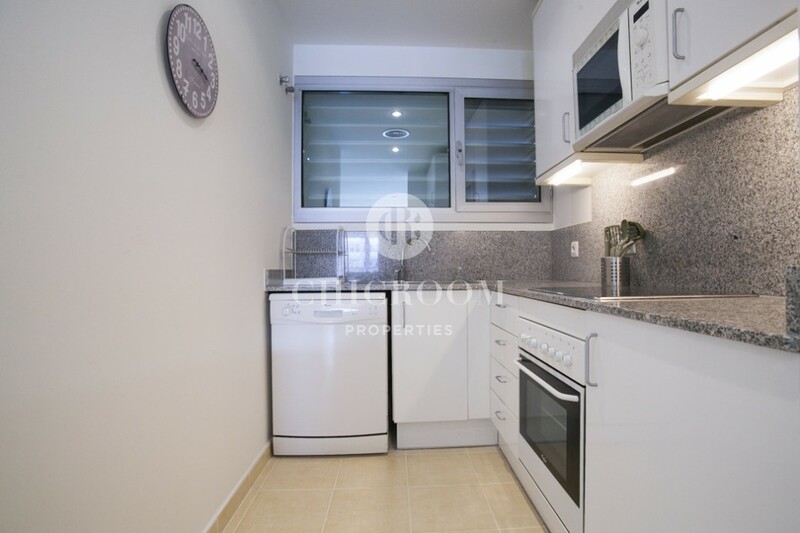 You will find here a refrigerator, induction stove, electric oven, microwave, and dishwasher. 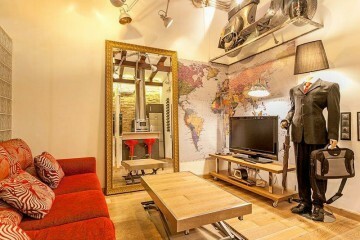 This apartment offers you one bedroom. This dormitory has a king size bed, and a big window, which brings up a lot of natural light. The building complex will take care also of your free time! 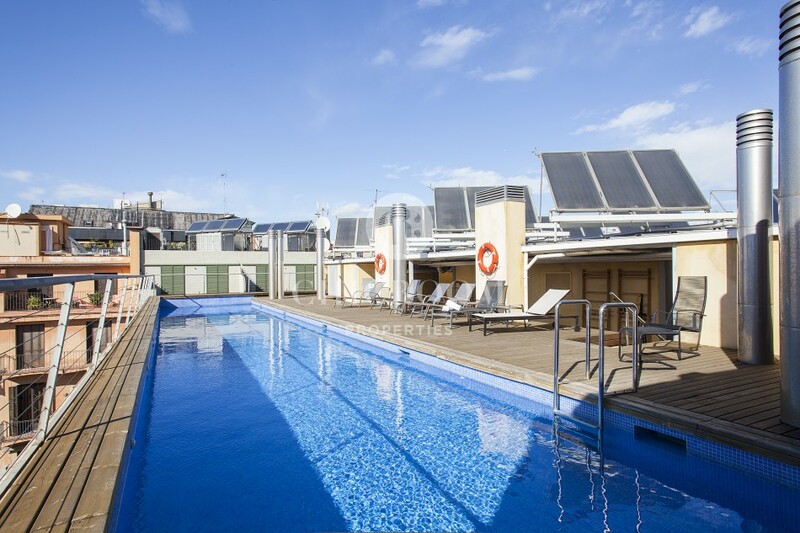 You will have a possibility to use a communal swinging pool, gym, or a garden. 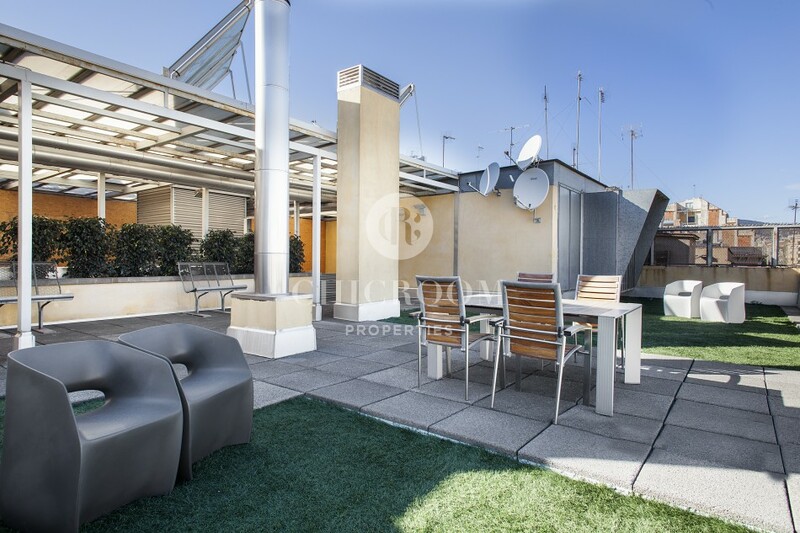 All of those places are situated on a rooftop, so you can also enjoy there a view of magnificent Barcelona. The building also will provide you full security with individual alarms and monitoring. 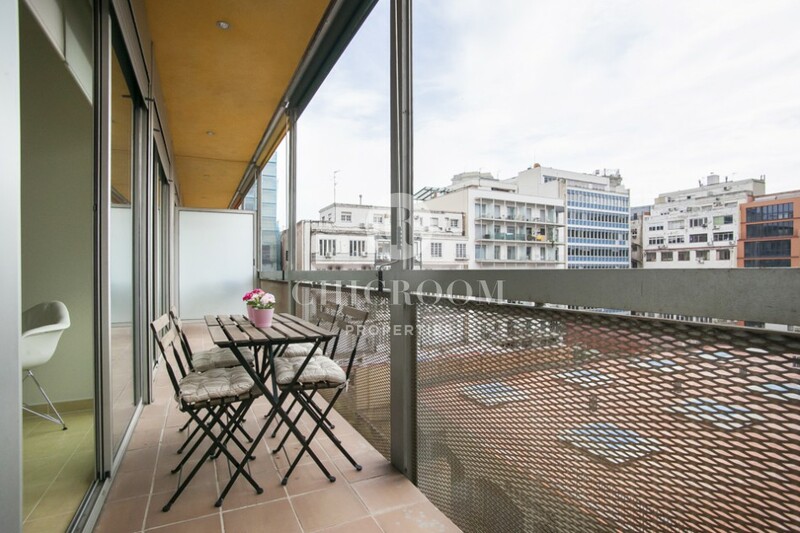 This flat is located in one of the central zones of Barcelona, which makes the public transport very easy. Here you can find a variety of bus lines and metro station. 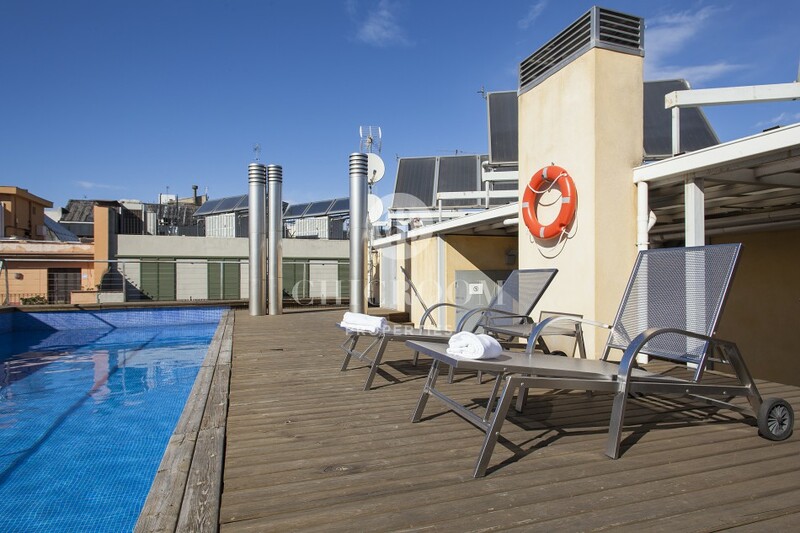 Close to the apartment you will discover Plaza Catalunya which will lead you to La Rambla and Gothic Center. This district is famous for fantastic restaurants, but also you will find here many shops and a shopping mall. During the night you can find a lot of entertainment in local bars, pubs or clubs. 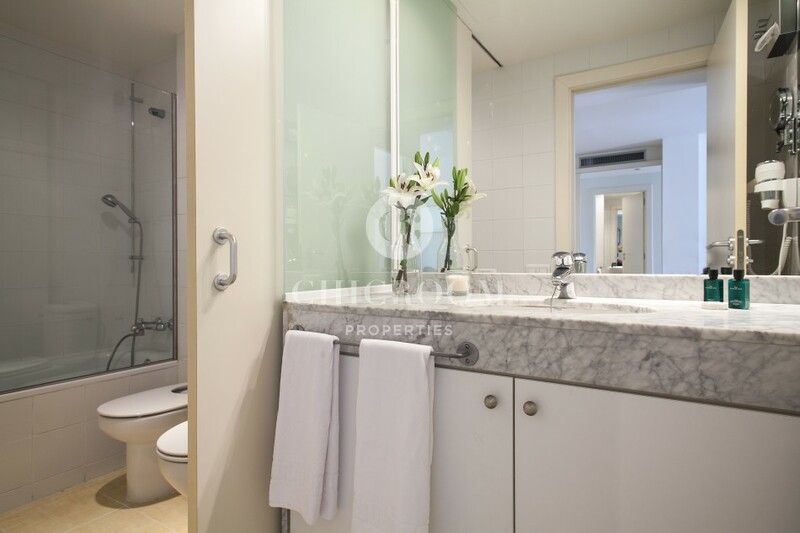 This 1 bedroom apartment for rent in Eixample with pool its a perfect place to stay for couples, who want to stay close to the city centre.